An article in the UK Metro newspaper claims Andermatt in the Swiss Alps should be your next weekend break. I’m not going to disagree, it’s a beautiful little resort with some great off-piste on the Gemsstock, and it gets some of the largest dumps of snow anywhere in the Alps. You can also get there easily by train. I’m not so sure it would be my first choice for a weekend break though. Flims/Laax and Engelberg are about the same distance from Zurich Airport. The Jungfrau is feasible for a weekend break via Basel’s Euroairport, and Chamonix, Verbier, Portes du Soleil, Leysin, Les Diablerets and Villars are about the same distance from Geneva Airport. Plus there are a handful of smaller resorts much closer to the airports – Feldberg from Basel or Flumserberg, Pizol, Hoch-Ybrig and Braunwald from Zurich. Things might change, however. Andermatt is going through a massive expansion. The resort is currently in the midst of a huge redevelopment by Egyptian billionaire Samih Sawiris. Probably the most obvious sign is the new builds in the village, including the impressive 5-star Hotel Chedi. 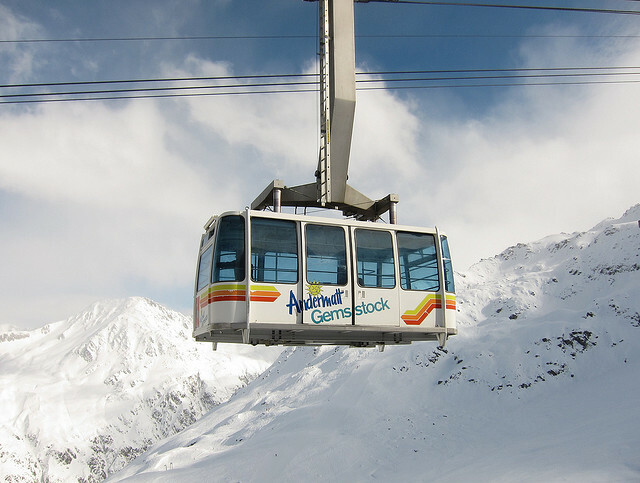 However a number of new and replacement lifts are in place as the Nätschen-Gütsch area gets upgraded in advance of being linked up with the resort of Sedrun, in the Rhine valley. Expansion and upgrades to the Gemsstock area are also planned. The “masterplan” is due to complete for the 2018/9 season. 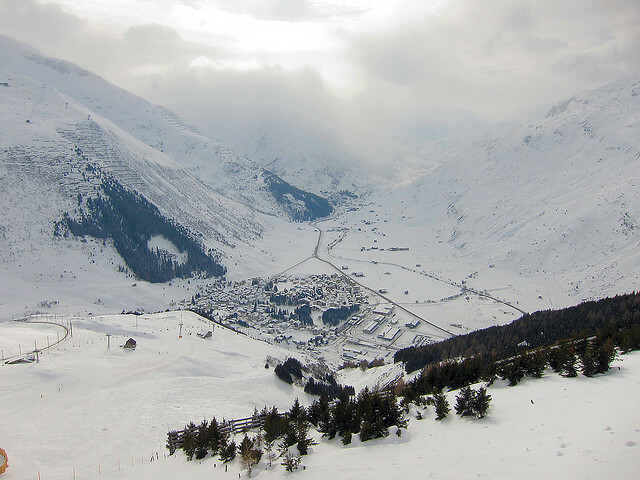 Andermatt is also billing itself as a year-round resort with a number of scenic viewpoints, varied mountain walks and an 18 hole golf course to lure summer visitors. Hopefully all this development will not diminish the charm of the old village. 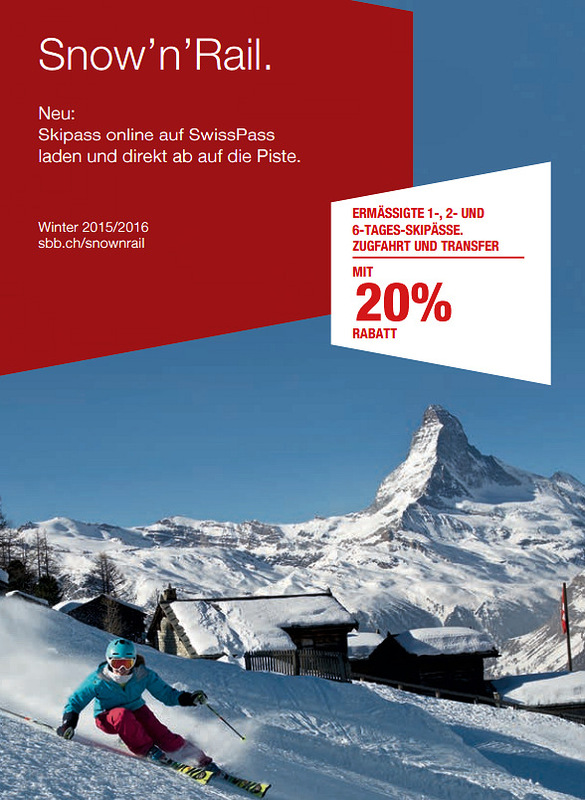 The schedule of new lifts can be seen here. With the vote too close to call, there is a strong possibility Britain, or at least England, will vote to exit the EU. What will the impact be on ski holidays after Brexit? Well, the likelihood is you will be going to Glencoe next season. A lovely ski area it is true, so not all bad news. 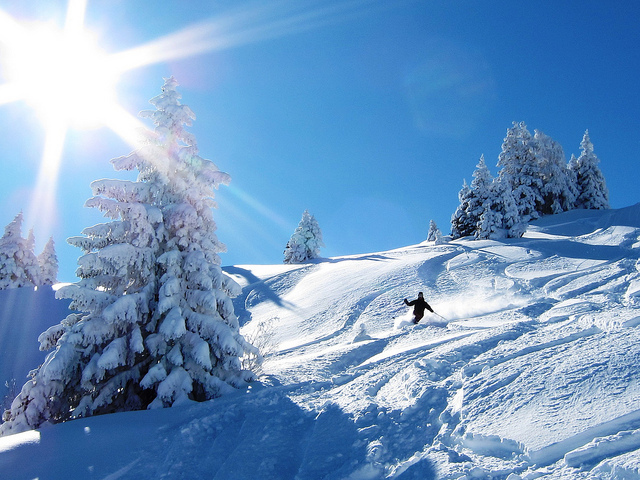 However a report in the Telegraph sees the price of ski holidays to traditional favourites like France and Austria cost significantly more. 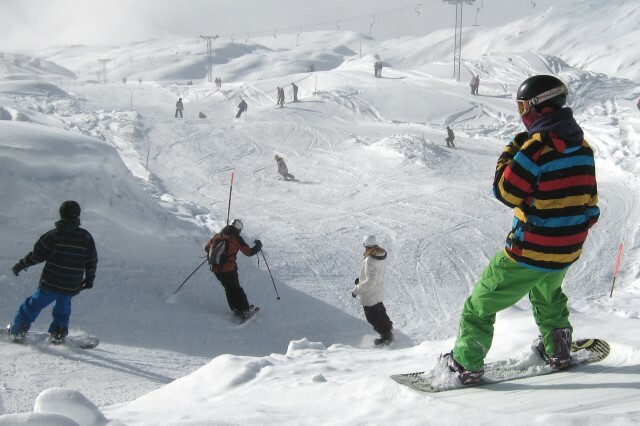 Industry insiders reckon it will add at least 10% to the cost of a ski holiday. 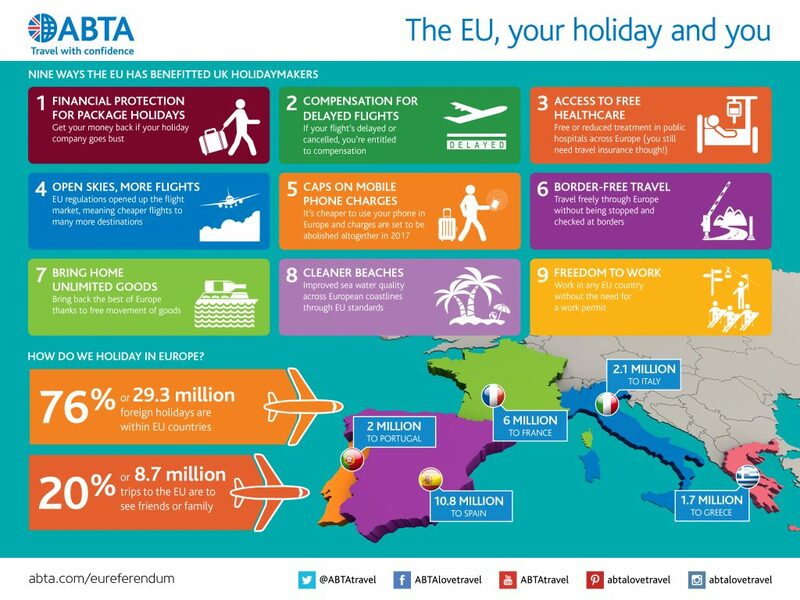 Indeed ABTA sees all holidays becoming more problematic after Brexit in a report they have published. Holidays to non-EU destinations will also cost more if the pound plummets on Brexit, as is widely expected. This could be good news for Bognor. However, locked into a spiral of higher interest rates, higher high street prices and negative equity as house prices sink, perhaps most Brits won’t be able to afford holidays anyway. At least there will be plenty of low-paid second jobs to take on as the Poles all return home. And at least they can hear stories of the charms of the Costa Del Sol from grumbling ex-expats, who have had to come home because they can no longer live freely in the EU. Assuming you can cough up the additional cost of a ski holiday to Europe, many pundits reckon air travel will not only be more expensive, but will involve more hassles and fewer available flights. 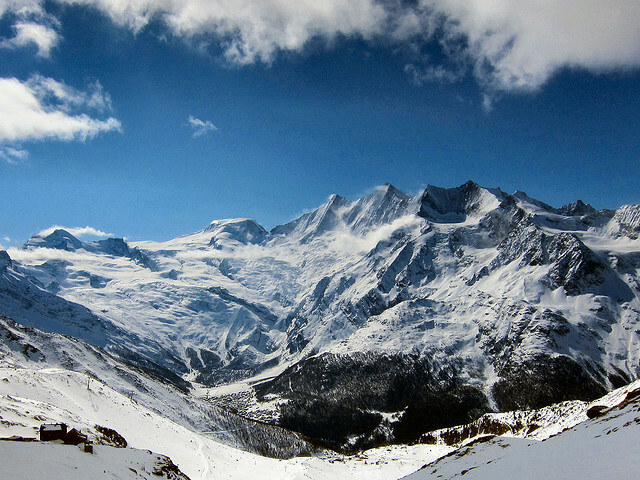 An alternative is to take the train – many ski resorts have train services right to the slopes (see snowandrail.com). Ironically, many continental rail operators cross-subsidise their domestic services with the profits from their UK franchises, contributing to providing those much higher quality rail services that all the major ski nations in Europe enjoy.